Liebherr 19.4 cu. 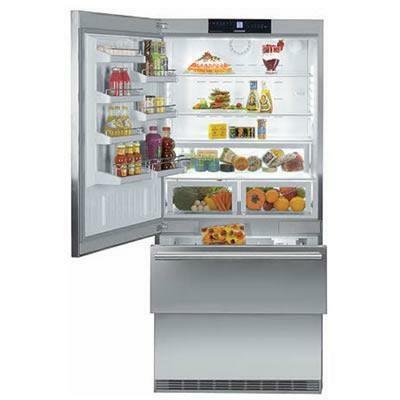 ft. single door refrigerator with bottom freezer featuring super cool and super frost with Frost safe system. 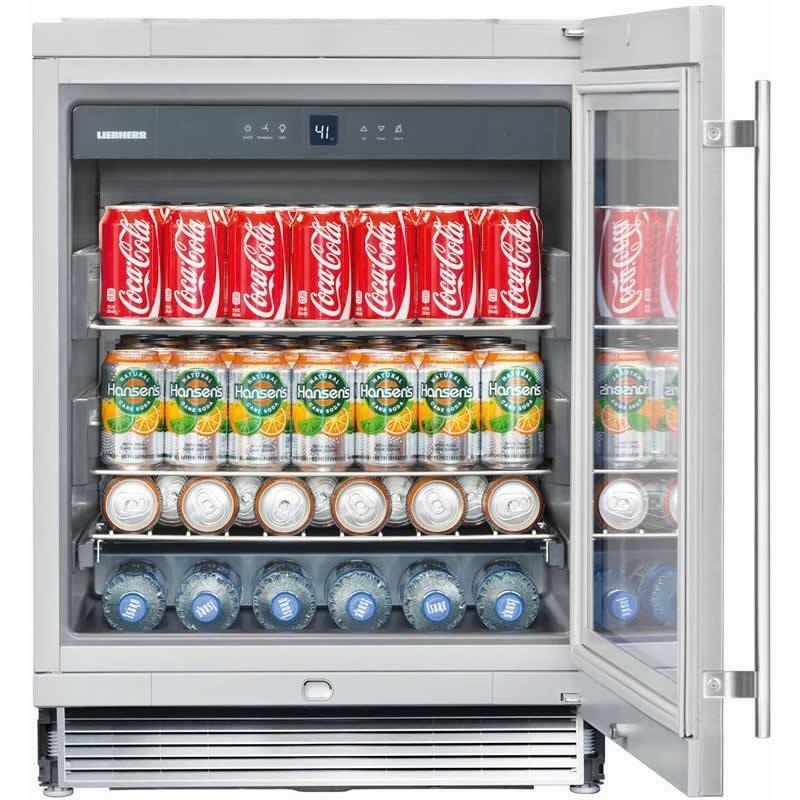 This 36" single door refrigerator offers nearly 20 cubic feet of capacity, allowing it to hold a substantial amount of groceries while meeting all food storage demands. The products expansive and uninterrupted shelving easily accommodates oversized platters and containers while one drawer the width of the unit is perfect for meats, cheeses and dairy. Two other deep drawers ensure proper care of fruits and vegetables. Gallon holders and additional storage racks permit space for all sizes of beverages and sauces. 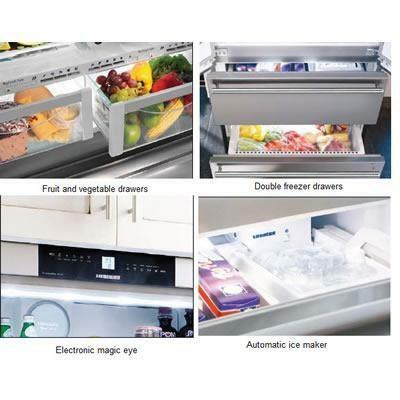 The double freezer drawers are well appointed with easy-grasp stainless steel, handy self-closing mechanisms and maximized use of space. The attractively designed transparent drawers are extremely practical: they are extra deep, sealed all round and can be removed. So they give you a clear view of the contents and offer extra convenient storage. They are designed so that all frozen foods from large poultry to a boxed pizza will fit conveniently and neatly. 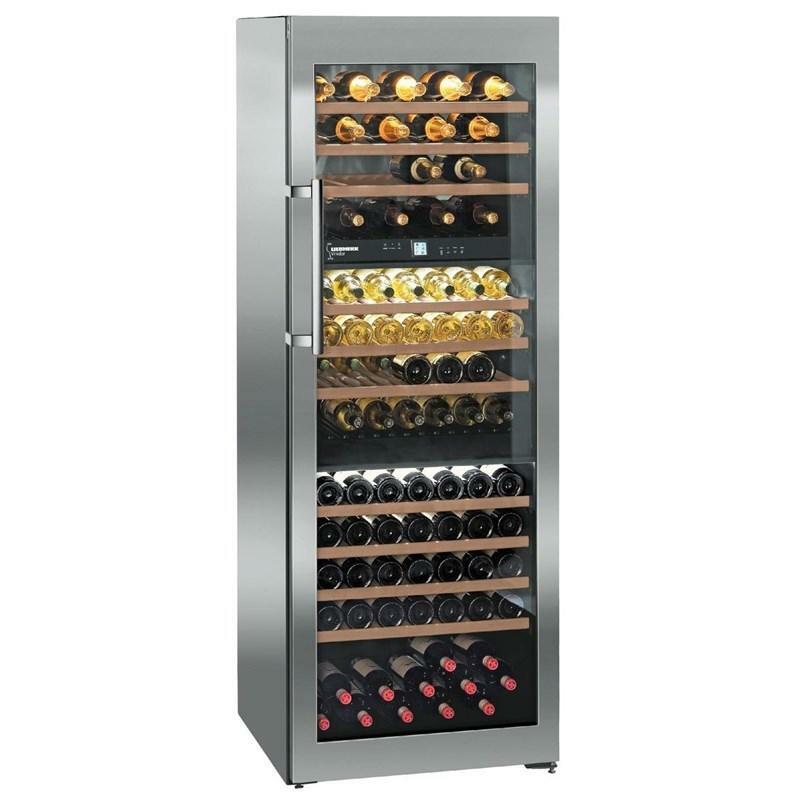 The FrostSafe system gives all round frozen storage protection for each drawer's contents, even when the door is opened. Total 19.4 cu. ft. / 0.55 cu. m.
Refrigerator 13.4 cu. ft. / 0.38 cu. m.
Freezer 6. cu. ft. / 0.17 cu. m.
• Material door shelves-Glass with stainless steel trim.